Back in late 2017, T-Mobile announced their plans for a “disruptive” streaming television service, which would launch sometime in 2018. However, T-Mobile won’t be making that deadline, as it is pushing the rollout back to 2019. The report says their sources told them that Magenta Network executives faced a tough choice. 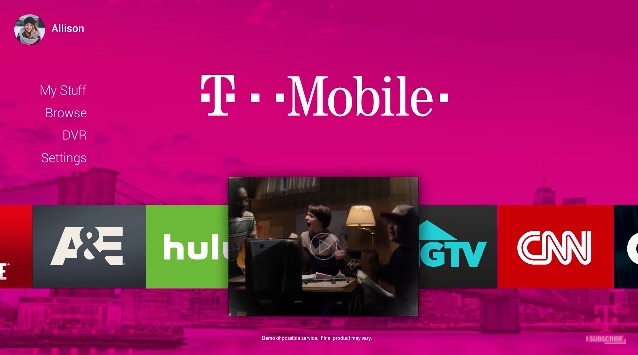 They could either go ahead and rollout a garden-variety streaming service, or wait until 2019 and deliver on the groundbreaking services that were promised by T-Mobile CEO John Legere, who made big promises about what the new service would offer. To get a head start, T-Mobile had acquired Denver-based Layer3 TV Inc. in January for $325 million. Layer3 already offers service in a handful of cities, including Washington and Chicago, offering hundreds of channels for roughly $80 a month. The carrier has promised to fix cable company “gotchas,” like long contracts, increasing monthly bills, and outdated user interfaces. It looks like we’ll have to wait until 2019 to see if the carrier can deliver on its promises.